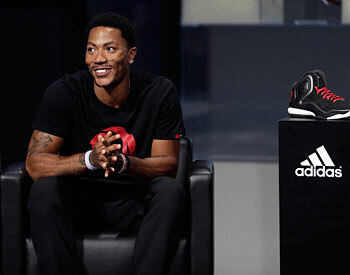 It’s Comeback III for Derrick Rose starting Monday in Las Vegas with the USA Basketball World Cup team training camp. Yes, it’s Roman numerals now because it is that significant. And it’s also time to begin setting the record straight regarding Rose. He’s joined an elite group in NBA history, stars who have been demeaned in their own community. For Rose, it seems to be for a combination of being injured (the nerve) and a specious view that he is self-absorbed and doesn’t want other great players on the team. So he doesn’t openly recruit. It’s nonsense, of course, but an apparent culmination of community disappointment in Rose’s personal injury misfortune and perhaps personal fortune. In any case, he’s hardly the first. Magic Johnson was under siege in Los Angeles when the view was he was dictating management decisions. Oscar Robertson was effectively run out of Cincinnati in a management whispering campaign. And they burned pretty much everything of LeBron’s but his mansion after he left Cleveland. Uneasy wears the crown. No one owes Rose an apology; and Rose is hardly asking. I find myself much more upset than he is. It’s not that he doesn’t care about community reaction. It’s just that he is a mature young man and understands you cannot please all the people. A presidential mandate is 51 percent of the 57 percent who turned out to vote. You do your best when you can, and Rose believes his time is coming. First with USA Basketball this summer and then a return to the Bulls backcourt this season with a team many believe can compete for a championship with the impressive list of offseason addition. It first was The Non Return, aborted Comeback I after Rose’s May 2012 ACL surgery. The initial prognosis was a recovery period of from eight to 12 months. We’ve now seen with many examples that a 12-month recovery with an ACL injury is not unusual. Danilo Gallinari has been out more than a year. Rajon Rondo was out a year. So were Nerlens Noel and Robbie Hummel with similar ACL tears. Rose at his first press conference before the start of 2012-13 training camp said he could be out all season but expected to return. The Bulls said they would err on the side of caution. However, anonymous reports began to surface regularly in a season long waiting game of Rose returning in February, then after the All-Star break, then in early March, then with Amelia Earhart. Talk radio and the media were ablaze with bulletins and lookouts. Who would see Rose first? Rose never was truly ready, though perhaps shooting on the court before games didn’t help the public perception. The end of that regular season was 11 months following surgery. Now we know that it’s normal to be out up to 12 months and even longer after ACL surgery even in this era. And you don’t ease into a Miami playoff series after 12 months off. So when Rose didn’t play in 2013, the community reaction became fierce and often critical in some places. Like Rose, who we’ve seen basically lives to play ball, didn’t want to play. And do exactly what? More rehabilitation. Sure, that’s fun. Then came the much anticipated Comeback II, first in Indianapolis in the 2013 preseason and then until Portland Nov. 22 when Rose tore the meniscus in his other knee. Instead of the surgery where the meniscus is cut and the rehabilitation is shorter, Rose was advised because he was young to take the longer, more conservative route, which would be a six to seven-month rehabilitation. So, again, Rose was not about to return in late May after not having played and then walk into an intense playoff situation. And, as it happened, the Bulls were eliminated from the playoffs long before then. So, again, amid pockets of community frustration blame oddly went toward Rose. Not tough. didn’t want to play, prima donna. Lots of silly, mean spirited stuff. Like he wanted to be injured. Yet, here was a player who actually played through seven different injuries in the 2011-12 season. Now he doesn’t want to play? Rose, to his credit, never responded and never expressed any anger. If anything, he showed his sophistication by always saying he understands the frustration. Yet, there was still time for another misjudgment, this time that Rose wouldn’t recruit players to help the team. It was not only inaccurate, but irresponsible. But it, nevertheless, became community acceptance in some corners. After all, doesn’t it elevate you if you can demean someone so rich and talented? The truth is Rose was taking the best advice to be a leader of a championship team. Rose never has been a natural, vocal leader, but someone more comfortable leading with his actions on the court. But the NBA ethic is to have the best players take charge. So Rose in his first seasons sought out advice from some of the top leaders in sports. One was the New York Yankees’ Derek Jeter. Jeter relayed that one thing you never do is recruit an outside player because its basically a statement to your teammates that you don’t want them. And then what happens if the player doesn’t come since virtually all recruiting attempts end in failure? Remember, Dwyane Wade really didn’t recruit LeBron. LeBron chose Miami. 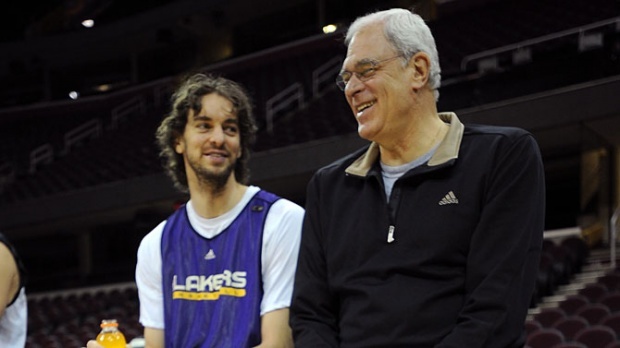 Did it make any difference to Carmelo Anthony that Kobe Bryant or Joakim Noah begged for him to join their teams? So Rose heeded the advice. He let players know he’d support his teammates no matter who they were. He said it’s management’s job to hire the players; it’s his job to help make them better. Ironically, it was Michael Jordan often at odds with management for trying to recruit players to replace his teammates. That caused a lot of early issues with Scottie Pippen and Horace Grant, whom Jordan was suggesting be replaced. Rose, instead, tried to do what was right and moral: Support your team and management, be a leader. It was the advice from Jeter. It’s why you never heard Jeter lobbying management for other free agents. Can you call for replacements and then look your teammates in the eye and say you have their back? That’s another reason why Jeter wore the label of captain with so much support. It’s not that Rose wasn’t trying to help the Bulls get better; it’s that he was trying to do all he could to continue to create a cohesive, supporting team. If that earns the enmity of critics, well, then Rose understands. It’s about the guys in that locker room, as we so often hear. The USA camp will be Rose’s first high level basketball competition since tearing the meniscus. He will be among 19 NBA players seeking to make the roster of 12 for the quadrennial competition in Spain starting in late August. Rose was a member of the last gold winning USA team in the World Cup—then called the World Championships—in 2010 when he led the team in assists while averaging 7.2 points, mostly as a playmaker and facilitator. Because of his torn ACL in the 2012 playoffs, Rose missed a chance to compete with the 2014 USA Basketball Olympic gold medal winning team. But if USA Basketball commits to its standard of building equity as a method of team unity, then Rose should definitely be a member of the 12 for the tournament. There have been several top U.S. players to withdraw, including Kevin Love, LaMarcus Aldridge and Blake Griffin. Atlanta’s Paul Millsap was added Sunday with the dearth of big men. As a result, Spain’s team featuring new Bull Pau Gasol along with brother Marc, Serge Ibaka and Ricky Rubio is the favorite for the gold medal. Russell Westbrook also withdrew. Still, it’s a strong point guard group with Kyrie Irving, Damian Lillard, Stephen Curry and John Wall the other point guards in camp. It would seem among that group Rose should be the leader as all are scoring oriented point guards. With shooting guards like James Harden, Bradley Beal, DeMar DeRozan and Klay Thompson, the team needs a distributor at point guard and Rose seems the most likely choice given his experience leading the team in the 2010 tournament. It would be a shocking development and a blow to USA Basketball’s “equity” program of getting credit for sticking with the program and credibility if Rose were left off the team. Especially since he’s done everything USA Basketball asked, including a 2008 select team role. At the close of the Las Vegas camp, the team will play an intrasquad game Friday at the Thomas & Mack Center on the UNLV campus. They will have a two-week break and then pick up in Chicago for two days of training and an Aug. 16 exhibition versus Brazil in the United Center. Then there will be exhibition games against the Dominican Republic and Puerto Rico in Madison Square Garden Aug. 20 and Aug. 22. The team then goes overseas with a 12-player roster likely set after the New York games. The tournament concludes in mid-September. It’s possible Taj Gibson could get a late call as well depending on how the young big men fare this week. Bulls rookie Doug McDermott will play for the select team practicing against the players trying to make the USA team. Bulls guard Jimmy Butler left the select team Sunday with a groin injury. Bulls coach Tom Thibodeau is an assistant for the team. Former Bull Kyle Korver also is among those competing for a place on the 12-player roster. But much of the focus, at least early, will once again be on Derrick Rose. He’s accustomed to that by now whether good or bad.